man. He came to the mountains He created. He faced the rivers with their rushing currents. even they rejected him” (John 1:11). Disneyland on its opening day in 1955—­but nobody even acknowledging him or acknowledging the fact that everything in the park had come from his imagination and creativity. this magnificent passage of Scripture, but you get the picture. later. There is still no room for the Savior. Himself to a tiny space of ­property—­for you? future. 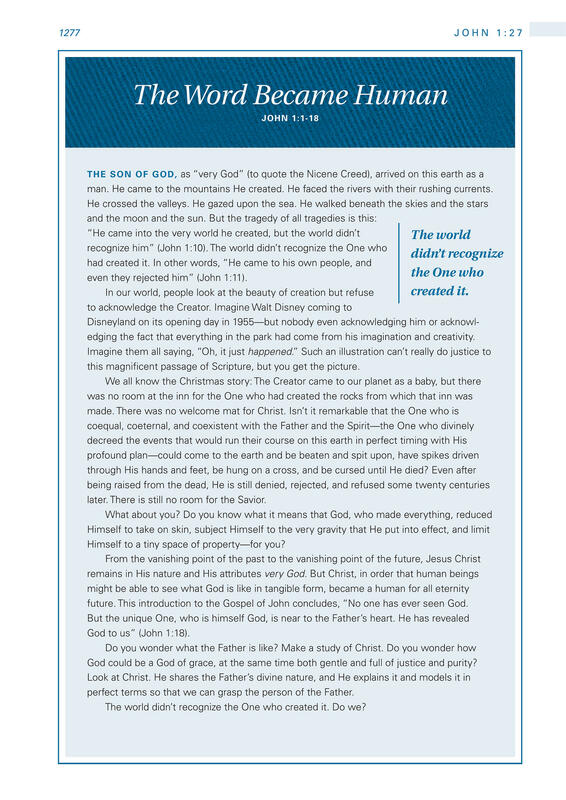 This introduction to the Gospel of John concludes, “No one has ever seen God. God to us” (John 1:18). God could be a God of grace, at the same time both gentle and full of justice and purity? perfect terms so that we can grasp the person of the Father. The world didn’t recognize the One who created it. Do we?